From coastal paradises to city slicking, if you’re heading to Marseille, Biarritz, Rennes or Paris this summer, here are a few highlights and some top events to add to your France calendar. 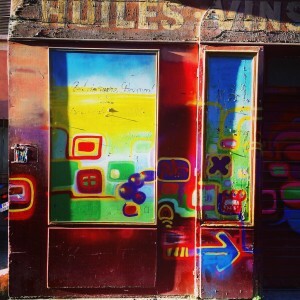 Stumble across the unexpected in Rennes: whether you come across giant monochrome characters by Berlin-based street artist MTO or elaborate scenes by Zilda, every corner and cranny holds an arty surprise in Rennes. Les Halles de Biarritz: start your day by sampling all kinds of delicious local delicacies at Biarritz’s colourful indoor market, open every morning. Discover the city by walking around with a local: if you’re feeling like a fish out of water in Marseille, why not hire a greeter, a local volunteer who will unveil their favourite places and regale you with fun stories. With 5500 Km of coastline and 4 oceans, France’s relationship with the sea is vast, and its shores beautiful. HI Marseille and HI Biarritz work with a number of ocean preserving initiatives. Check out the grand tour of French beaches among other initiatives organised by the Maud Fontenoy Foundation to see how you can help. 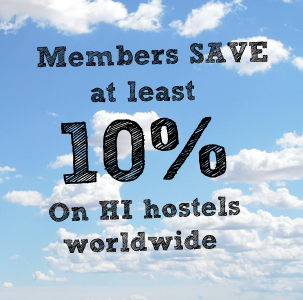 We’ve removed booking fees on stays in ALL of our hostels - start your France adventure here.